Every door we supply is bespoke and designed to your specific requirements. All Trade Frame doors are available in a wide range of colours and different threshold options, including standard pvc, low pvc and aluminium. With so much choice, you are sure to find a door that will enhance your property and provide you with complete peace of mind. 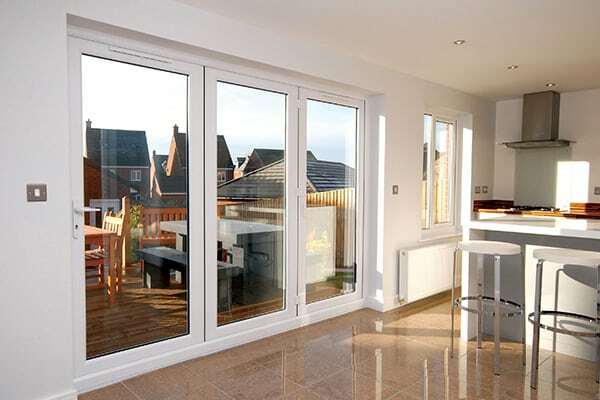 Why Choose Trade Frame French Doors? 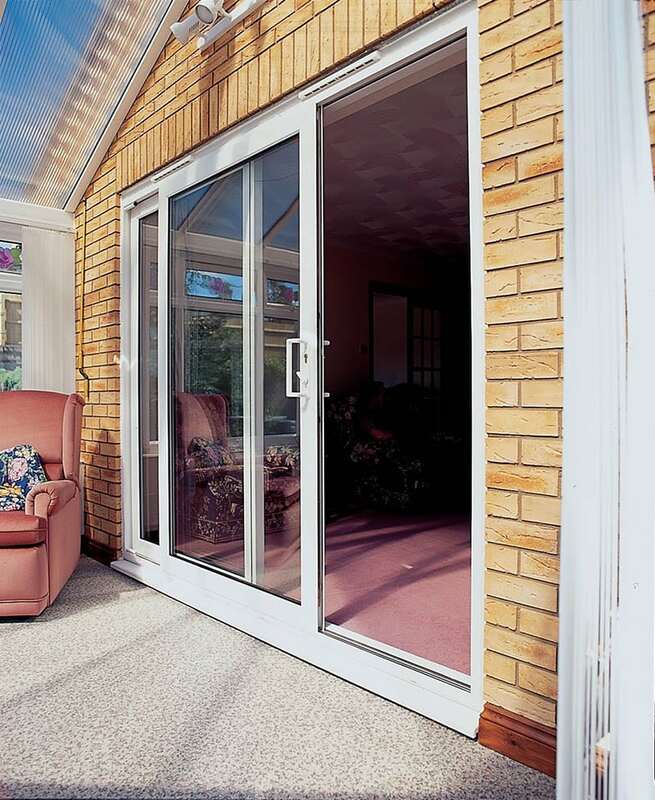 An attractive alternative to patio or bi-folding doors, Trade frame`s range of French doors are an ideal choice where the aperture size is more limiting. Offering a more traditional aesthetic, Trade frames stunning range of uPVC French doors come with the same high specification and colour choices as our window range – just as you’d expect. 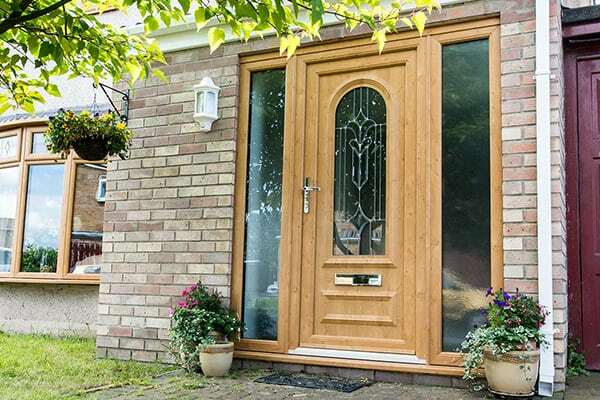 Available in either an ‘open in’ or ‘open out’ style to suit your living space, the Trade frame French door provides your home with a beautiful and secure entrance – along with a range of low and ultra-low threshold options. Ensuring you enjoy the maximum amount of natural light in your home, the fully sculptured features of the Trade frame French door provides a beautiful finish. Trade frame French doors are not only lead-free and aesthetically pleasing but have been created with security in mind. A vital component of all Trade frame products is security and our doors are fully accredited to meet the necessary standards, including Secured by Design and PAS 24:2012, plus they are fully compliant with the latest relevant divisions of the Building Regulations. Aspect is the advanced bi-fold door system from Eurocell. With ultra slim frames there’s nothing to obscure your view or stop all that extra light flooding into the heart of your home. Aspect bi-fold doors slide open with the lightest of touches and fold back flatter than any rival model. That means you can create a continuous ‘garden room’ that stretches from inside your home to the great outdoors in one single, uninterrupted space. With one with the slimmest uPVC frames in its class, Aspect is the only bi-fold door with Secured by Design status on the market. 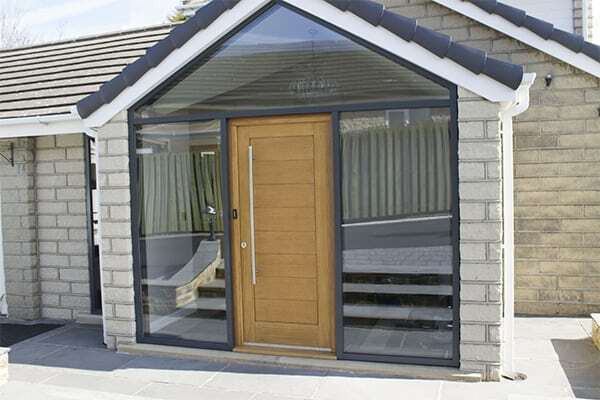 Why Choose Trade frame Residential Doors? It’s the first impression that meets any callers to your home. With a Trade frame door you can ensure it’s a good one. Whether you are looking to add some character to your home, or are looking for some traditional style, Trade fame is sure to have the perfect solution. 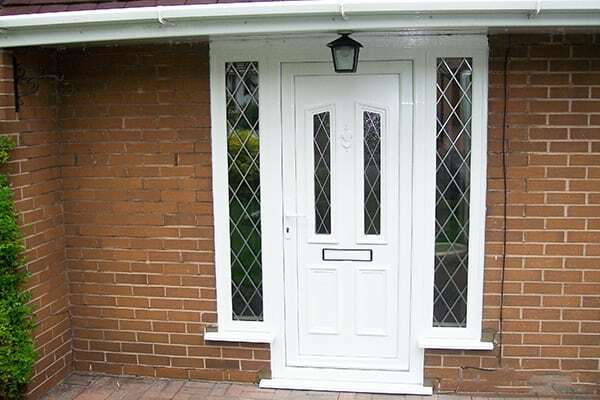 Trade frame`s uPVC residential doors are available as opening in or opening out, and are designed to match perfectly with the window range to create a co-ordinated and attractive appearance for your home. 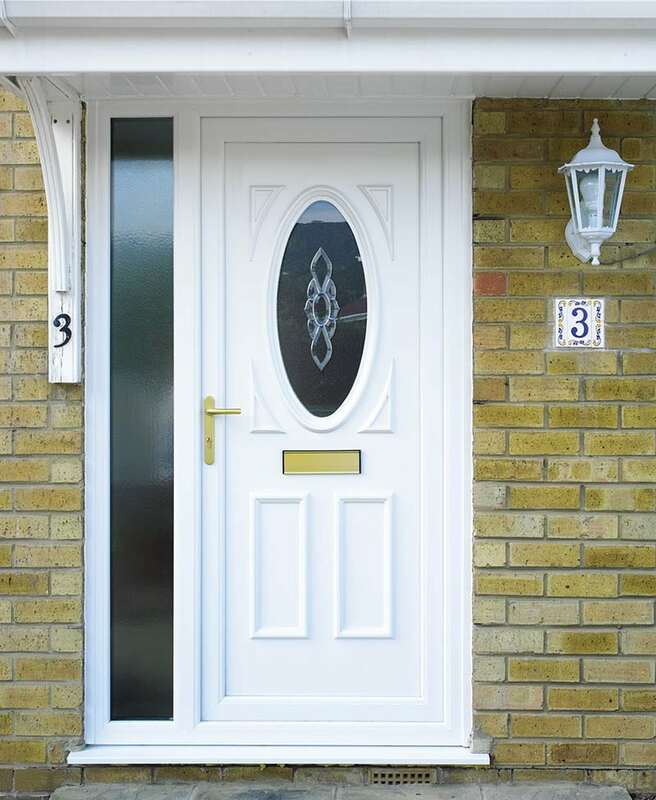 Trade frame`s uPVC residential doors not only provide a great aesthetic and are lead-free, but have also been designed to offer excellent levels of security. Security is a vital component of all Trade frame products and our doors are fully accredited to meet the appropriate standards, including PAS 24:2012 and Secured by Design, also being fully compliant with the latest relevant sections of the Building Regulations. There are many options available to ensure the perfect door for each unique customer. 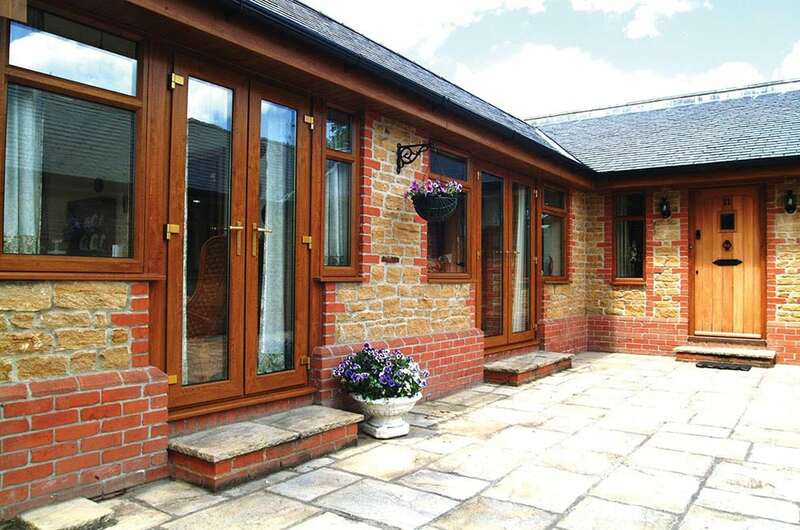 Choose from chamfered or sculptured profile, double glazing (28mm) or triple glazing (36mm). Combine this with threshold options including Part M compliant and a wide choice of finishes, hardware and glazing options. 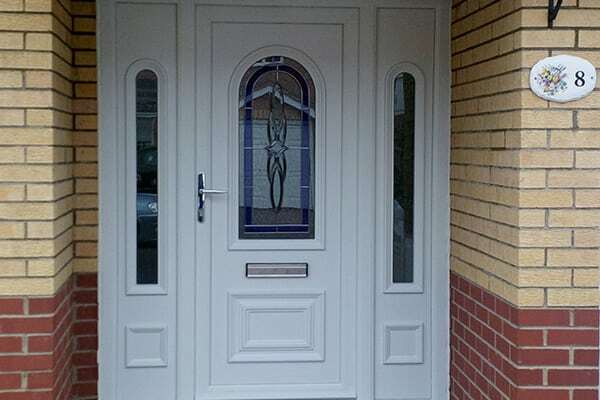 Trade frame residential doors can be tailored to your individual requirements. Available in a fantastic range of colour options including White, Grey, Rosewood, Light-Oak and Irish Oak. Trade frame Residential Doors also come in a variety of bespoke colours including Black, Cream and Chartwell Green. These days everyone wants light homes and bright, airy spaces. 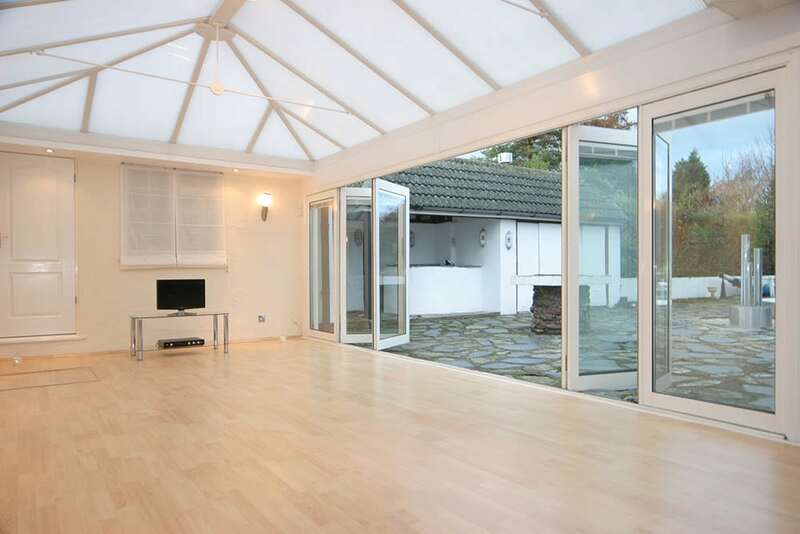 What better way to let more natural daylight in, than with beautifully designed, floor to ceiling, patio doors. Perfect for patios, conservatories and as internal room dividers. They make the most of garden offices, pool houses and porches. They look good because we’ve paid attention to the details, but the beauty is more than skin deep. Our doors are engineered for strength, security and long lasting performance. Every Trade frame Patio door is unique. Precision made, in the colours and configuration you require. Choose features, choose your finish and choose hardware – you will always be choosing craftsman built quality. Because no one wants to live in a building site and everyone wants the job to go smoothly, we’ve made sure that our doors are very easy to install. And, with a rapid 5 day lead time, there’s no wait to get the job underway. At Trade frame, we believe in quality, service and style. We believe that our products should perform brilliantly, year after year, keeping householders, warm, safe and secure. We believe that local expertise can’t be beaten, but that a recognised and trusted brand is a measure of the strength of our designs, our engineering and our people. We believe that great patio doors can be home-grown, made in Britain for our weather and for our lifestyles. And we believe in looking after this wonderful planet of ours with low-maintenance, thermally-efficient and recyclable products.